The report, “Sexual Assault and Sexual Harassment in the U.S. Military,” found that the five bases with the highest estimated risk of sexual assault for women were all AETC bases — in descending order, Vance, Laughlin, Altus, Columbus and Goodfellow Air Force bases. Rand noted that the top three bases are all undergraduate pilot training bases. However, Rand noted that the average sexual assault risk for women in the Air Force was low, as compared to other services. And few installations had a total sexual assault risk that was greatly different from the service’s average. The highest-risk Air Force base for women, Vance AFB near Enid, Oklahoma, had a 5.2 percent risk of sexual assault, higher than the overall average risk of 3.1 percent for Air Force women. The top five highest-risk installations for men in the Air Force were, in descending order, Altus, Laughlin, Joint-Base Anacostia-Bolling, Luke and Columbus Air Force bases. All but Bolling are AETC bases. In a statement, AETC pledged to “take ownership of the issue” of sexual assault and make sure airmen have safe training environments. AETC also said it will use the data in the Rand study to better understand risk factors for sexual assault at the installation level. AETC said that since 2014, it and the rest of the Air Force have included primary prevention — or strategies that are taken before sexual violence has occurred, intended to prevent it from happening at all — into its violence prevention and response models. And a new program called Getting to Outcomes is intended to tailor prevention efforts that are specific to each installation. And in 2019, AETC will start having all basic military trainees go through an evidence-based sexual assault prevention and response curriculum, the command said. Bolling has not yet responded to a request for comment. Rand estimated that Ramstein Air Base in Germany had 76 women and men in the Air Force who were sexually assaulted in 2014, the highest estimated number of all Air Force installations. Langley Air Force Base in Virginia had 71 estimated sexual assaults, and Hurlburt Field, Florida, had 67 estimated sexual assaults in that same year. Rand, which based its risk estimates on data from fiscal 2014, cautioned that the risk may be different today. The estimates also only apply to active-duty personnel assigned to those installations, and did not consider reserve-component personnel on active duty status, civilians or contractors. In a section on the caveats and limitations of the study, Rand said the report did not uncover why risk may be higher or lower at different installations, and said there may be many possible causes. The data studied by Rand also excluded service members with fewer than six months of active-duty service, which means about half of the basic Air Force trainees at Lackland Air Force Base were excluded, as well as other services' basic military training bases. 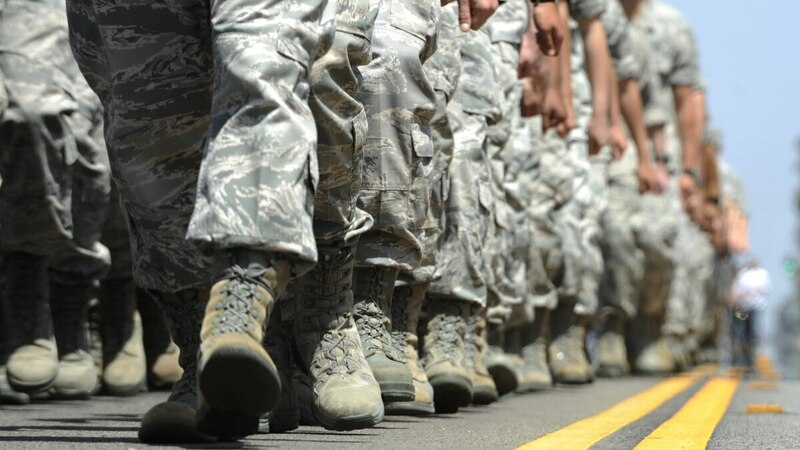 Rand said it cannot assume whether those exclusions would raise or lower the estimated risk of sexual assault at basic training bases like Lackland. The data also does not include cadets at service academies such as the Air Force Academy.